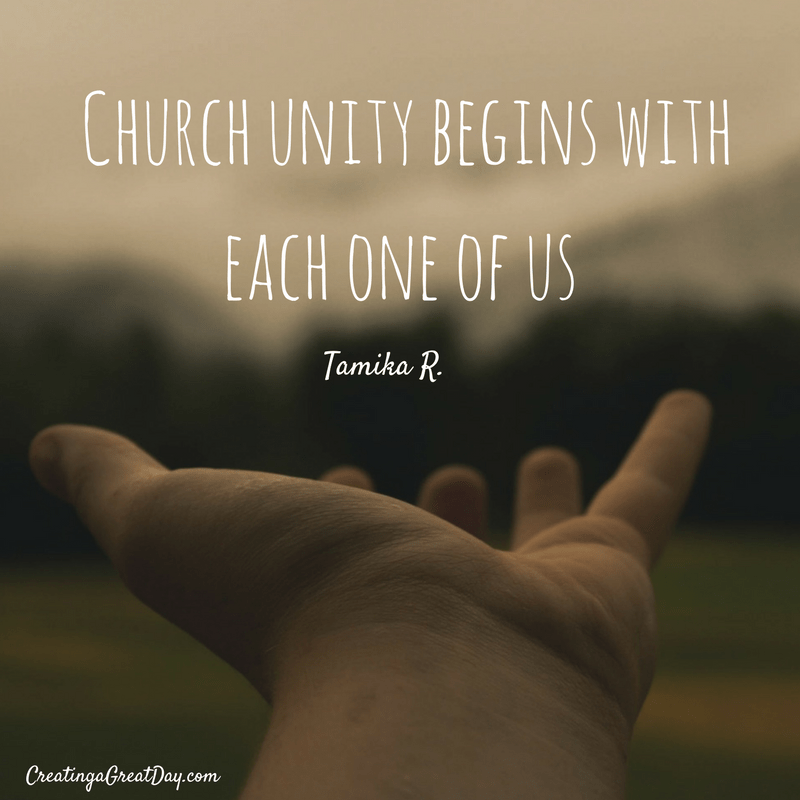 Why is Church unity important? What does it mean exactly? We travel to churches in various parts of the world each year. We meet with the churches we partner with and are constantly building relationships with new ones. It is really one of my favorite things to do. 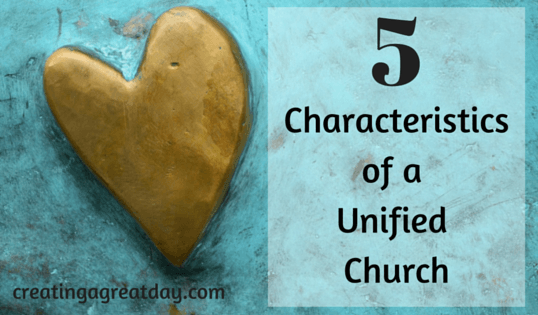 Each church has its own unique set of characteristics, strengths, and weaknesses. I like to think of it as fingerprints. No two are the same, and they are indicative of who you are. Unity is one of the things I always look for. Unity in Christ crosses cultures and any other boundary we put in its way. When the body of Christ is unified it looks the same in the U.S., Africa, Honduras, and Germany. When we are of one mind and working in one accord as the Lord has asked, it is unforgettable and in some cases truly life-changing. Here are some of the things I have learned as we have witnessed the power of unity in Christ. Take advantage of everyone’s gifts and strengths. They allow everyone the blessing of giving their gift back in service of the Lord, knowing that it will benefit and grow all of them. They confront whatever threatens the body of Christ. If someone is stirring up disunity or hurting the spiritual development of individuals, they put an end to it. They pray defensively. The things on the prayer list are more about edification, encouragement, and vision for the church and its members. When someone struggles with faith or in life, they all carry the burden and bring their concerns to the Father in prayer. They do not brush issues under the rug. They confront them, deal with them, and move on. The first time I witnessed this, we were at a family retreat in Croatia. A woman who had an issue with the behavior of another member asked the speaker about it during a session. One of the church leaders stood up and facilitated a discussion that helped both sides to work through it. They don’t allow fear to stop them. One of my favorite churches to watch, hear about, and fellowship with is the church in Athens. It is the most diverse group of Christians I have ever seen. They hold multiple services, Bible studies, and events to spread God’s love to the many different people groups that gather there. As a matter of fact, last Sunday, the church in Athens baptized nine refugees traveling to build lives in Europe. While many fear all the unknown things that come with such a large group of people on the move, this church is taking advantage of joining God in meeting the people in some of their darkest moments. Keep in mind, this is a church that within itself has multiple nationalities. Aside from the many obvious differences they work together to bring others to Christ. So what does this mean for us? What is our call to action? Church unity begins with each one of us. When we decide to use our gifts to edify and develop the church, we are living as the body of Christ. When we forgive, have hard conversations, and pray blessing and success on one another, we are building up the church. Each one of us has the responsibility of ministering to one another and the world. Ephesians 4:1-16 gives us a road map on how we need to behave to grow in Christ and foster unity. Take some time today to read it and think about what role you have to play in your church. As a prisoner for the Lord, then, I urge you to live a life worthy of the calling you have received. 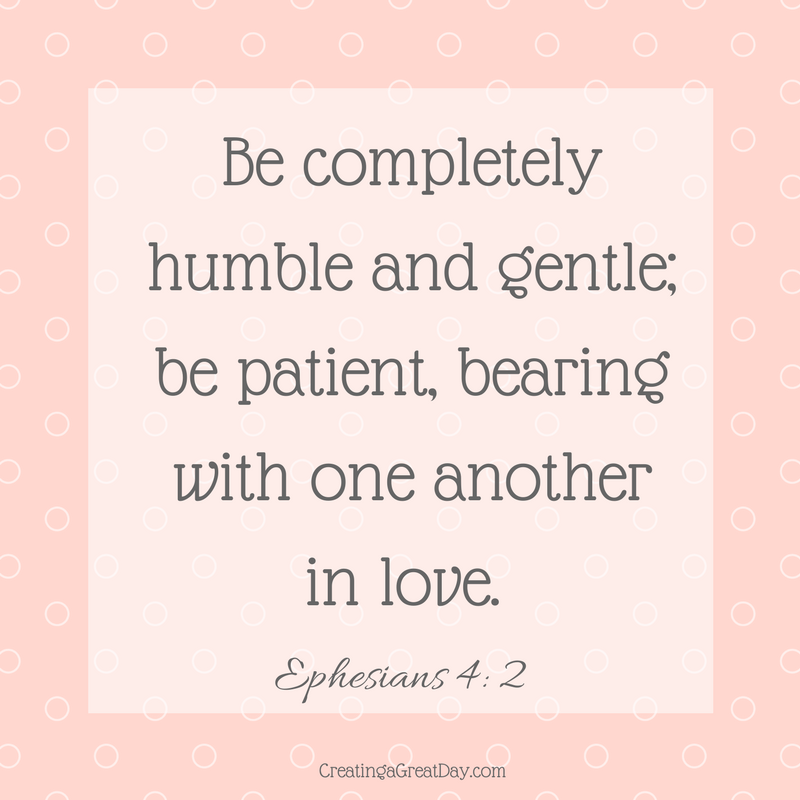 Be completely humble and gently; be patient, bearing with one another in love. Make every effort to keep the unity of the Spirit through the bond of peace. There is one body and one Spirit, just as you were called to one hope when you were called; one Lord, one faith, one baptism; one God and Father of all, who is over all and through all and in all. Then we will no longer be infants, tossed back and forth by the waves, and blown here and there by every wind of teaching and by the cunning and craftiness of people in their deceitful scheming. Instead, speaking the truth in love, we will grow to become in every respect the mature body of him who is the head, that is Christ. From him the whole body, joined and held together by every supporting ligament, grows and builds itself up in love, as each part does its work. Are there ways you bring about disunity? What are your talents and how can you use them to build up the church? Do you remember the story of the Shunammite woman? You can find it in 2 Kings 4:8-41. It is a beautiful story full of selfless actions. She is a woman who had great means. She used what she had to bless the servant of the Lord without being asked. God took notice and blessed her in kind. Even when tragedy struck, she responded with grace. She was able to say, “It is well,” and walk forward with hope and trust. 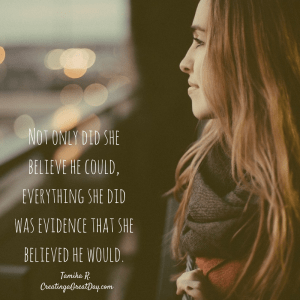 She knew who she was dealing with and behaved as one who had expectations that the LORD could do all she thought he could. Not only did she believe he could, everything she did was evidence that she believed he would. Last year while having breakfast with my dear friend Leslie, I heard of women in India who have this kind of faith. Leslie is an amazing and inspiring woman whom I met about four years ago. We bonded by talking about creative projects. She lives in Ireland, but she and her husband minister all over the world so we cross paths often. My husband was there preaching about three weeks ago. He returned excited about the projects Leslie is involved in. Naturally, I couldn’t wait to hear about them myself. She spends her free time trying to support women in India who could greatly benefit from very little. As she was talking to me about the things she does, I thought, why couldn’t I join her and we could help more women? I have decided not only will I join her, but I would like to invite other creative souls out there to join as well. Let me tell you what she is doing. The first project brings us back to the Shunammite woman. There are women in the Indian villages who need jobs. They are people who can and will work in a local craft. They want to start their own business in their craft, but they need start-up money. The organization is called SWAN and was named after the Shunammite woman. All of the women enrolled in the program have already committed to give 10% of their earnings to support the local preacher. How much money is needed depends on the craft and the village. The second project is a more personal one. They have a rice project in the village of Pavara in Andhra Pradesh. They provide daily rice for about 150 widows and orphans. During this year’s trip, Leslie noticed an elderly couple and asked for their story. 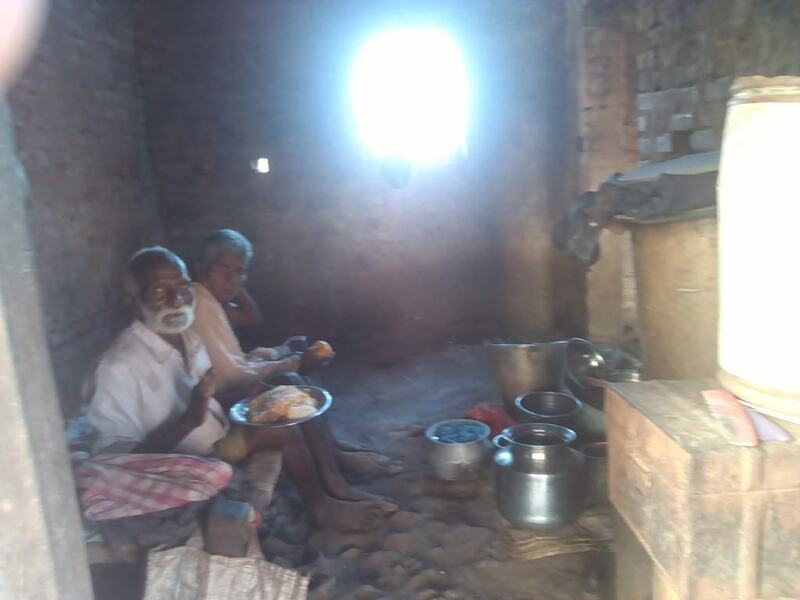 In their culture, the son would provide for them as well as his family in their old age, but their son is really poor and can barely care for his own kids and grandkids. So they collect wood and sell it. The husband chops and the woman pushes the wagon. For the past two years they have been unable to make this journey. They should both be getting a pension, but for some reason the government is only paying him one. So they work. The pension they receive is 14 Euros ($14.87) a month. They can’t live on it. The amount of the pension for one year is 200 Euros. Leslie was able to sell crafts this past month to provide for her for this next year. I would like to raise 200 Euros ($212.36) to give her another year of pension. Do You Have a Heart for Giving? If you have a heart for giving and a passion for crafting, would you think of a way you could make and sell something to help these women? Women who are making so very little. Women who are willing to work hard to get the smallest amount of money to help their families and others. 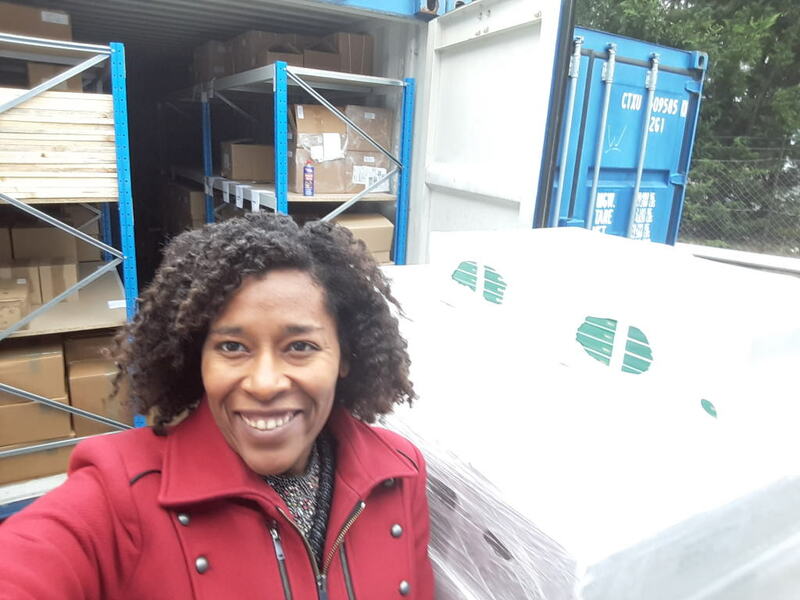 I have set a goal this year to make 200 Euros to support this woman for the next year. Whatever I make beyond that I will give to the Shunammite Project in India. 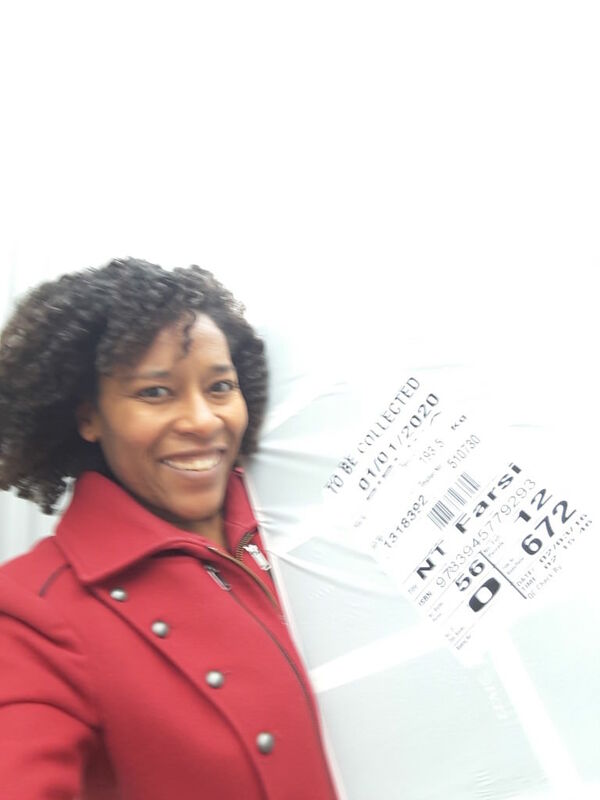 This will allow me to help women have the joy of creating, selling, and sharing to further the spread of the word of God in their villages. Everything made or collected for these women is 100% used for these purposes. It is all very well organized and professional. I will be painting, making beads, and felting. You can do anything you love. If so, comment below and we will begin in January. Also, if you aren’t interested in making or selling something but would like to donate money, I know that would also be welcome. Would you be willing to join me? You can get involved by purchasing these great books written by Tony Coffey. He is Leslie’s husband. I read Once a Catholic before traveling to Europe on a mission trip for the first time. I recently created a cover for the Croatian translation of Answers to Questions Catholics are Asking. He gives the proceeds from his books to the works and ministries in India as well. Walking down my street with rain pouring down the side of my umbrella, I can’t help think about the many people here in Vienna who have no where to go. There are many all over Europe. They are not on the way home. They are searching for a place to rebuild their lives. Thousands of people cross our borders each day looking for a new start. Some are fleeing war. All are looking for help. People often ask us how they can help the refugees. The answer is to send help. We need Missionaries. The physical needs of the people are being met they need Jesus. The face of Europe will change. There are so many different cultures and beliefs that are already living together here. Now a large group of people from various parts of the world are arriving daily. One thing that unites them aside, from seeking a new life is their belief system. In many ways it differs from the majority of us living in Europe. It won’t be long until their culture outgrows that of those of us who have already built our lives here. This will bring unique challenges and blessings. Pray that the Christians in Europe can be the light and salt needed to change the world. Many here are worried about the changes. People are concerned that the religious differences will soon become the new standard. People are afraid of the Christian faith taking a backseat. That is one way to look at it, but it is not the only way. The truth is that the fields are white. Each day there are more and more people arriving who need the Lord. We should view this as a field ripe for the harvest. 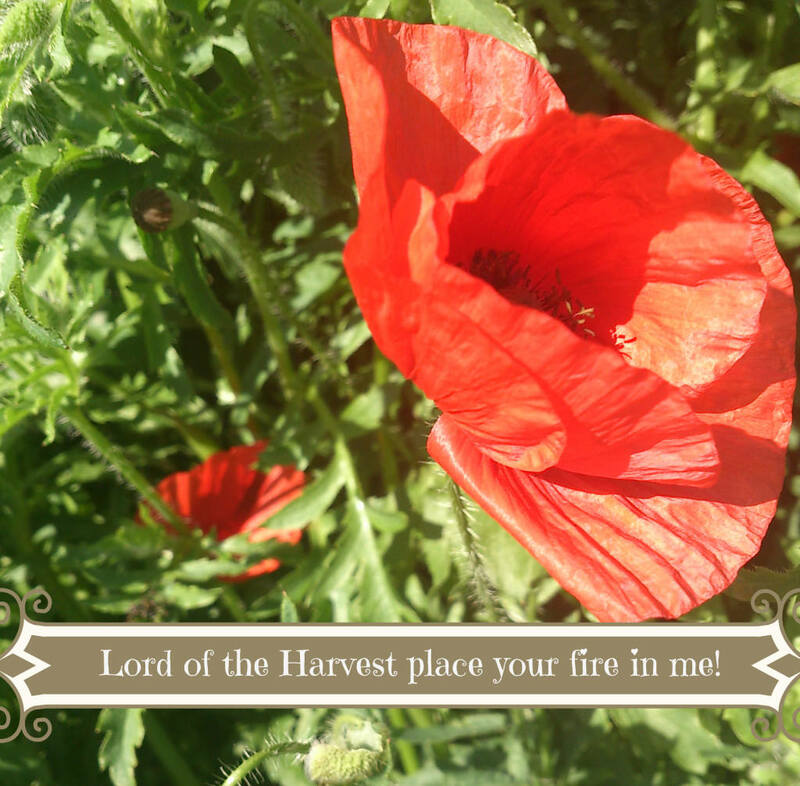 It reminds me of a song that I loved as a kid called Lord of the Harvest. It has been going through my head repeatedly the past few months. 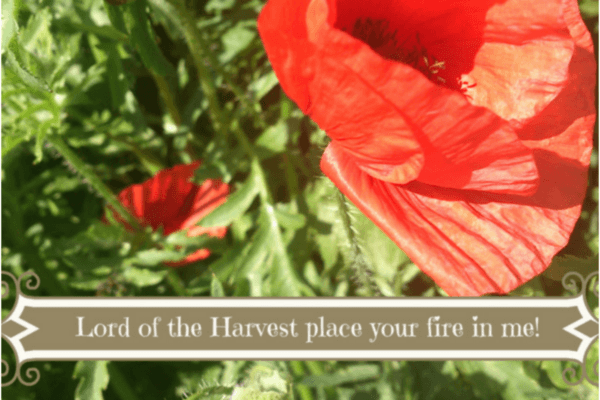 Lord Of The Harvest lyrics © Warner/Chappell Music, Inc.
Luke 10:2 talks about the harvest. He told them, “The harvest is plentiful, but the workers are few. Ask the Lord of the harvest, therefore, to send out workers into his harvest field. We have a real opportunity here to spread the love of Jesus. We should keep that in mind. It is easy to look at facts and statistics and forget that we are already victorious. We want to spread the love of Jesus and we need to be ready to stand up for what we believe. Though this is happening now in Europe , all over the world there are people who need the Lord. You may not be called to go on the Mission field, but there are other ways you can be involved. Look around and see where the Lord is already working. Think of how you can join him. Use your talents to bless the Kingdom of God. Support and encourage those who make sacrifices to go on the mission field. Provide funds and keep in touch with missionaries. Those are four things that you can do right where you are that can enable God’s blessings to touch the lives of many. Is there anyone in your life who has had their life turned upside down? What are some ways you can show the love of God to them? How can you sow seeds of the Father in the lives of those you encounter each day? Have you ever witnessed an encounter that made you rethink everything you know about relationships, the church, yourself? A raw, intense and deeply intimate confrontation about insides matching what is seen on the outside. It happened shortly after we moved to Europe. We were at a family retreat on the coast in Croatia. The speaker was talking about love, acceptance and community. The group was mixed with people from all over Croatia, from several different church denominations. In the middle of the talk, a woman stood up and proclaimed, “It is hard for me to fellowship with people who do things I don’t understand.” Then she said, “People like you!” and she pointed to another person in the crowd. I sat in amazement as she explained why it was hard to fellowship with this person. She considered them to be a hypocrite because they smoked in front of the church building and then came inside. They talked everything out as we all witnessed. The speaker used the situation as a springboard to drive the point in and they came to a mutual understanding. It was all over. The bottom line is one of them was an older woman and the other was a new Christian. They were both growing and trying to shed off an old sin nature. They just needed to talk, take off the masks and be understanding. 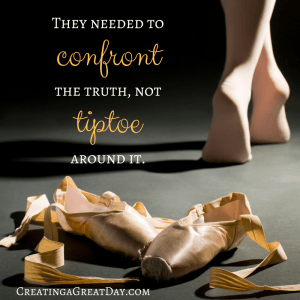 They needed to confront the truth, not tiptoe around it. I have thought about that event many times. I did that when I had cancer all the time. Tears rolled down my face into my pillows every night, but I needed to be strong so I wore the mask of the perfect minister’s wife. I didn’t let myself feel. Living in Europe has taught me to be more authentic. That has opened me up to the most difficult and heart wrenchingly real moments and experiences with God I have ever had. I appreciate it though. It has taught me to be vulnerable. It has made me aware of the power that lies in authenticity. God already knows who we are, what we think and how we feel. It is easy for us to put the thoughts and comments of others (real or perceived ) above what HE tells us about who we are and who we SHOULD be. We return to that same retreat each year. This year at the end we were all sharing things that touched us. There was a man there whose words brought tears to my eyes. It was beautiful. It got me to thinking again about the power and beauty in reconciliation. No matter how impossible. That is what this is all about. Almighty God is moving mountains, performing miracles, softening hearts and working behind the scenes to reconcile a broken world full of broken people to himself. Who am I to stand in his way by pretending, holding grudges or trying to do things my own way? Reconciliation follows revelation of TRUTH. 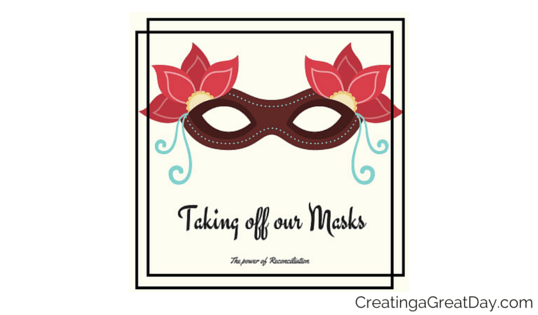 We need to remove our masks and reveal what lies behind them. 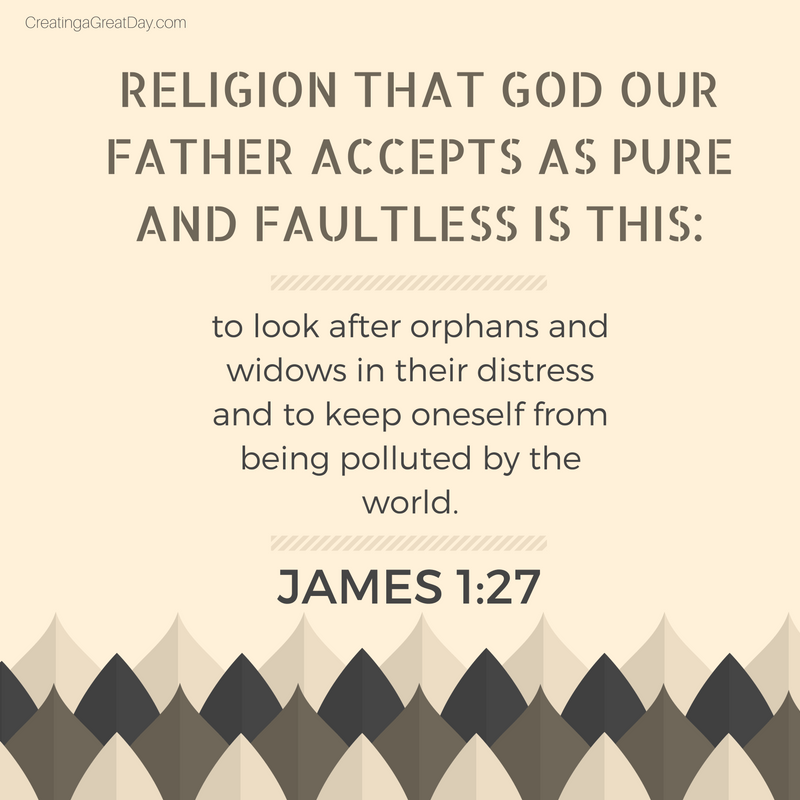 If we were perfect and had it all together, we would have no need of Jesus. The reality of all our situations is that we do. His mercies are new every morning because that is when we need them EACH AND EVERY DAY. Are there things in your life you need to turn around? Are there steps you need to make to be more authentic? 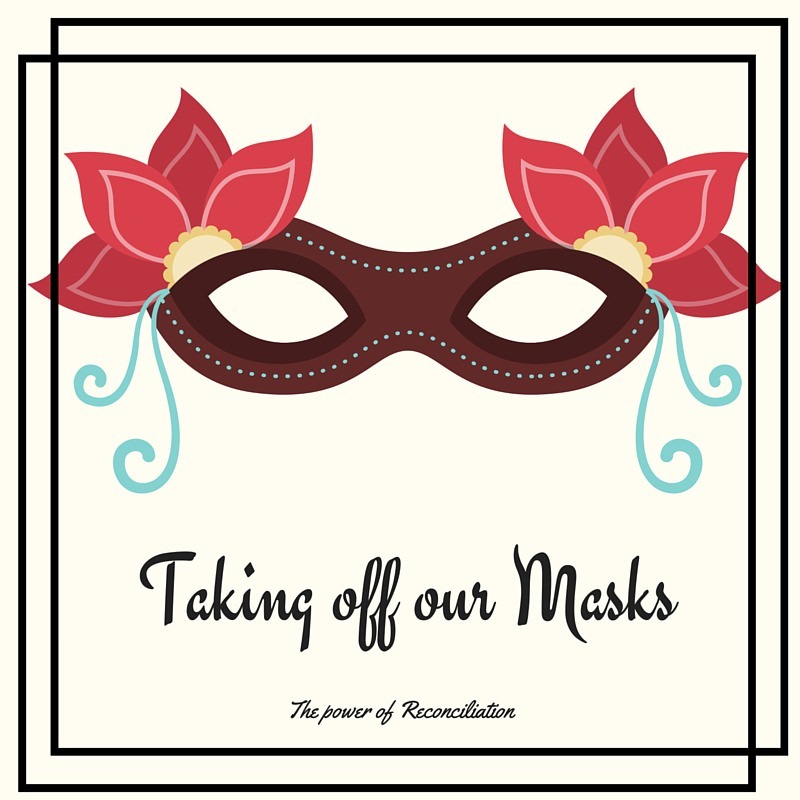 Do you have a mask to take off? 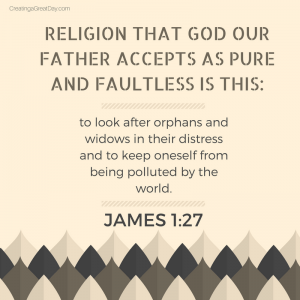 What would need to happen for you do to that and stand raw and ready to let the Father minister to your heart? Have you ever thought about all of the things that had to fall perfectly into place for you to have come into a relationship with the Father? That is not chance that is destiny. Even if it is something so seemingly simple as your exact parents coming together so you could be born. It is a miracle. A declaration of love. The Father saying I want you. He has chased each one of us down. That is the central story of the Bible. A God that loves each one of us that he is willing to do whatever it takes to be in relationship with us. What a gift. What an honor to be called his. 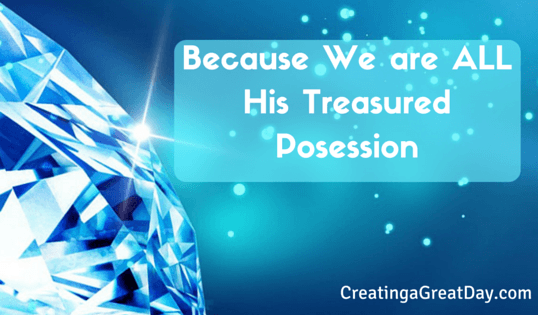 The most amazing thing about this gift, is that he desires all mankind to receive it. There are many people around the world who have to overcome huge obstacles just for the right to hear the message of God. Since August, many of those people have made their way to Europe. What an opportunity. The chance to discover His word. The ability to suddenly hear Him singing over you and see the way His hand has prepared your way. Those of us in Europe now have the chance to share Jesus with people who were in places not easily accessible to missionaries. I am so thankful to be able to play a role no matter how small in people getting a chance to have their own Bible. We have been doing this for 60 years in many war torn countries. All over Eastern Europe, we have witnessed the mighty hand of God and his work to save those in need of him. Now, we are able to empower the Ministries and Missionaries on the front lines of working with refugees. 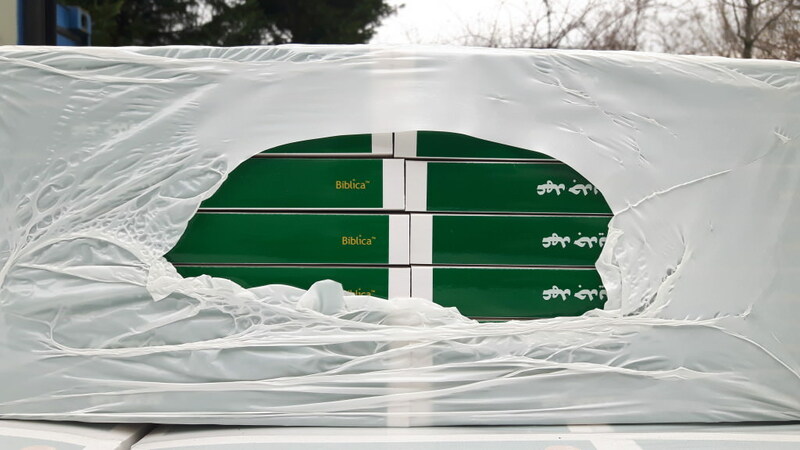 Through gifts from the Lord’s church we have been able to start giving out Bibles in Farsi. It is so exciting. We are working on Arabic Bibles as well. It thrills my heart when people come by to get them. I know what a special gift, and unique opportunity it is. I will never forget the first time I gave a Bible to a child who had never had one. We both cried and it was moving. I cry pretty much every time. I can’t even imagine what a special moment it is for those sharing with and blessing the disheartened and displaced. I am thankful we have a God who desires a relationship with us. I am impacted by the love and kindness of those who donate the time and resources needed to provide these gifts to those in need. If you would like to know how you can get more involved in helping people take the first steps in learning to be in relationship with the Lord, click here. Please take some time to think about and pray for the many people around the world who need Jesus. Ask the LORD to open your eyes to any paths you are standing near. Ask him to give you discernment and strength to help someone along their road to him. Here are a couple pictures of me and the little part I have played in this project. Eastern European Missions has helped many receive Bibles in Farsi so they can read God’s word!